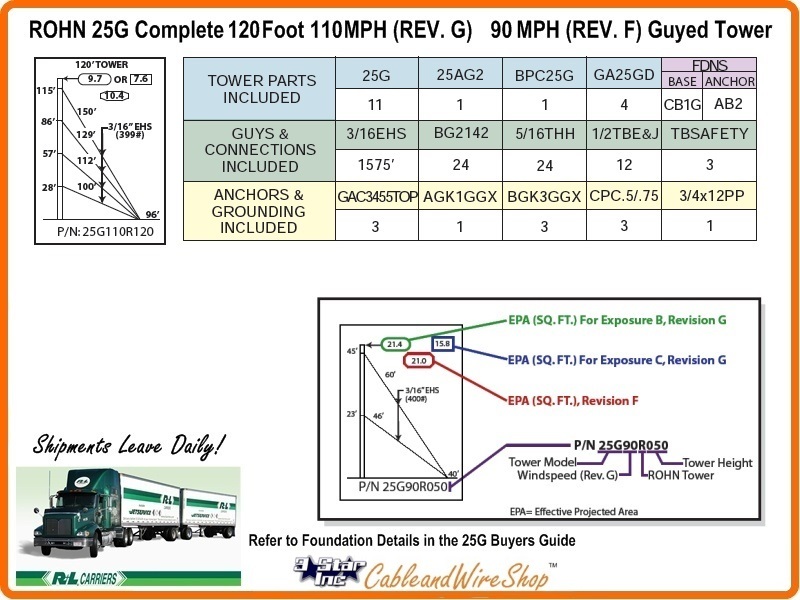 This Product Order Supplies the Following BOM (Less Foundation and Installation) in accordance for Use as a 120 Foot ROHN 25G Tower with EPA's (Effective Projected Area) Ratings for 110 MPH (REV. G). Refer to Larger Image for EPA Information.